Lockit Strain Relief Bushings - US Patent No. 4913385 - Bolt Products Inc.
Lockit’s three finger design securely anchors into panel as thin as 0.032 (0.8 mm) and as thick as 0.157" (4.0 mm) for a neat, clean appearance. Five locking steps accommodate a wide range of panel thickness. Low profile head satisfies design aesthetics. Standardize panel design. 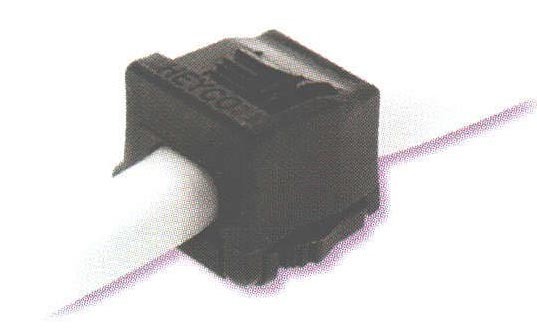 Fill unused Lockit Strain Relief mounting holes with the Heyco Rectangular Plug RP 115-130 (Part No. 1890).